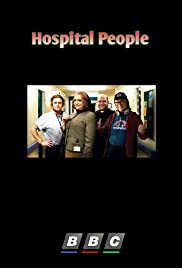 Mockumentary following the lives of staff at Brimlington Hospital. Including ambitious manager Susan, inept DJ Ivan, cheeky chaplain Father Kenny and psychic porter Ian (all played by Tom Binns). Tom Binns - A Hidden Talent? Really didn't know what to expect when I found this series on BBC iPlayer, but I've really enjoyed the first three episodes. Tom Binns who I have never come across before, seems very talented. He plays multiple characters and also wrote the program I believe. I hope he gets the opportunity to release other material. Parents need to be aware there is a lot of sexual innuendo.